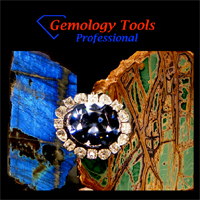 GemologyOnline.com • View topic - Harts range zircons. Post subject: Harts range zircons. 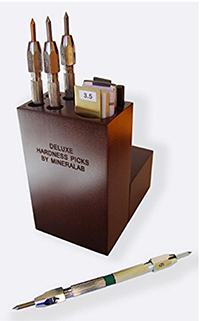 Today, a friend at sapphire, meet a visiting miner, who is willing to let me have a couple thousand carats, of Harts Range zircons, from "The mud tank" zone. Harts Range is in The northern Territory, Australia, about 120 miles from Alice Springs, so very remote, and this material is usually gobbled up when-ever it is found, so seldom gets held in bigger parcels. There is no commercial mining, only fossicker/diggers, and the small field is rapidly being depleted by the "grey nomads", who go there at this time of year. He tells me he can let me have stones from 5-12cts, and specials up to 20cts. Colours are from peach to pinks, apricot, and mauve, and he has tumbled the stone, so internal inspection is easy. He told me it is hand picked, for facetting. I am unsure of the exact price he will want, but he will only sell to me, as he says, "if I meet you, and you like the stone!" He's playing cagey, but I can't blame him, there are plenty of "not nice" people around our diggings. The hardest part of getting to these parcels, is actually tracking some of these old guys down! He will be hunting the wily sapphire until about 23rd june, so I will be able to meet with him, and look at his offerings. 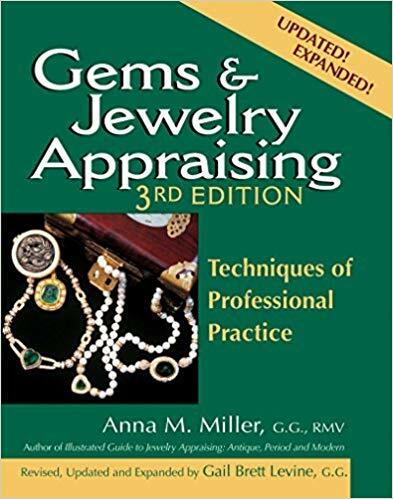 I think that a good guide will be in the range of A$5-7/ct. I will post pics for you when I have viewed. I hope to report more quality rough, as my network starts to get the word out. Post subject: Re: Harts range zircons. Remind me, is it Hart's Range zircons that sometimes have problems with fading? Hi Scaro, I have asked a friend who has been to the area, and is a cutter, and he says no fading. The deposit is an alluvial, surface occurence, and deep is less than 1ft, with much now only inches down. harsh conditions in summer, with the old 120 degrees common, so lots of solar exposure. I will also ask 'earthling", my zircon "guru" for his views. Thanks Scaro, I just sat with coffee, and read the posts. Have also emailed "Earthling" for his opinion. It seems the pale stones are stable, but deep, rich colours not so, and as the posts, and "earthling" tells me, cold dopping is the way to go. I'm being offered pale material from surface, so will be interesting to talk to the miner, and find out how old the material is. For once, couldn't we have a gem where the pale ones fade and the deepest, most beautiful colors are the stable ones? That would be nice. Bob, you are top of the list. Pink will be possible, but I doubt purple, they are found in pale mauve though. Photos as soon as I can. I'm looking forward to seeing photos of these stones. As an unrelated question, does anyone know if Australian zircons ever go blue with heat? I'm looking for material to play with and I've found a bit of Australian material for a reasonable price. Side note: wow, zircon has gotten a lot more expensive since I was in middle school. I did a project on Cambodian gems and we bought a few to show off; it was amazing how cheap they were back then. Hi Scaro, I believe that the Aussi zircon does not go blue. The Qld stuff loses colour if wax dopped, but then tends back to its original colour. Earthling is the acknowledged expert on all manners zircon, maybe you could P.M him. Actualy it is possible that the Australian Anakie Gemfields zircon turn blue. But it is rare from 50pieces you may succeed with one, very nice oranges are possible. The problem with the oranges is that some of them return towards there original color after a while , the blues are stable. The harts range Zircons are different to the Anakie ones, more crack´s and inclusions they have to be preformed for the heating otherwise Kaboom! But really the harts Range stuff is awesome in color not worth tempering with. Thanks to both of you! Sorry for briefly hijacking the thread. I'm still pretty exciting from having a successful anoxic run--plus last weekend I got to see a super-blue zircon in person (similar to the one Earthling posted a picture of earlier), and I was impressed to say the least. Perhaps someday I will have the skills, setup and purchasing power to see one of those come out of my crucible. I have some zircon s from oberon that I have heated after I've cut , from dark red to orange , could probably lighten them more . Would you like some of this material to see if some could turn blue?